LACE ~ Design by Diana Miglionico-Shiraishi for Jasmine Tea Designs and taught at the 2018 Gathering for the American Kumihimo Society, Tampa, Florida. 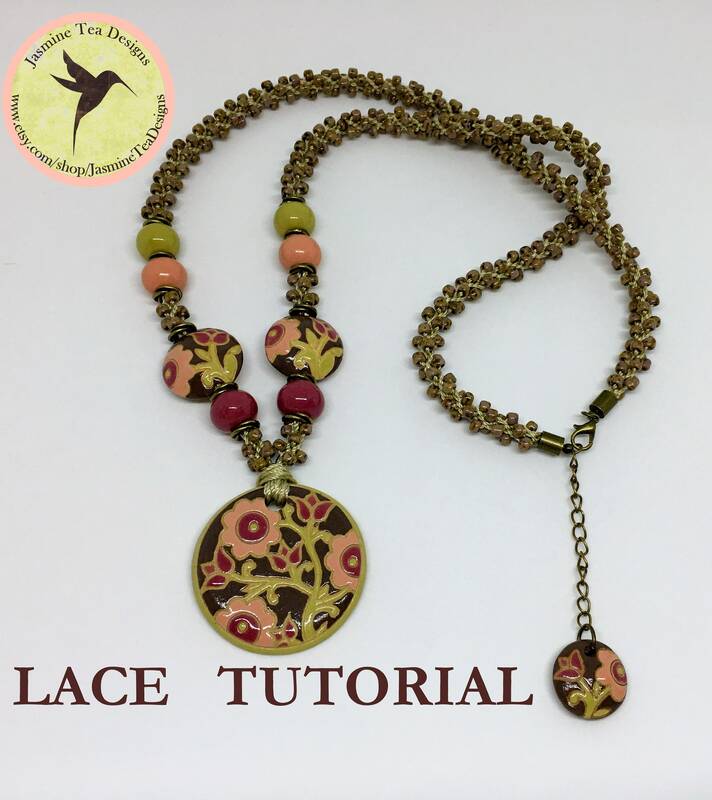 PLEASE NOTE: This tutorial can only be used with the Golem Design Studio bead sets made exclusively for Jasmine Tea Designs. The hole of the pendant and beads have been made specifically for Tex 400.